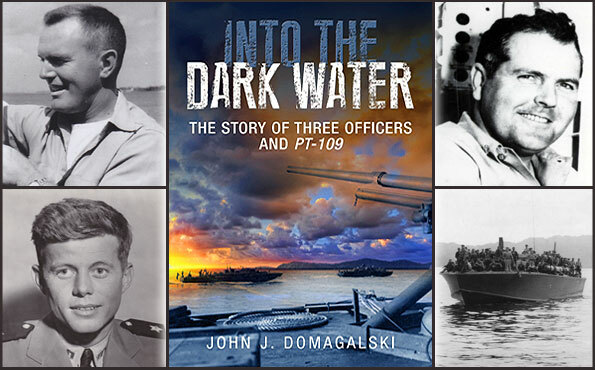 We’re pleased to present the newest release from Casemate Publishers – Into the Dark Water: The Story of Three Officers and PT-109. This fascinating book provides the complete record of PT-109’s wartime story under the command of its three officers – Bryant Larson, Rollin Westholm, and John F. Kennedy. 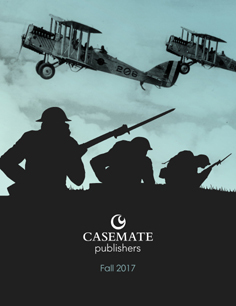 To learn more about the research into this story, we talked to author John J. Domagalski about his book. What fascinates you about revisiting the past and bringing it to life in a book? I really like narrative history – using firsthand accounts to tell a story. It brings a story to life and makes it about people. I have always liked reading about the experiences of other people from the past, often not a single person, but a group of people involved in an event – such as a battle or those aboard a particular ship. There is a level of human interest that comes to the forefront of a story when it is told about people. I try to do the same in all of my writing projects. When and how did you become interested in Military history? I became interested in military history through reading and building model ships. I started reading about history in grade school and the interest only increased as I grew older. I gradually focused on reading about modern American military history from World War II to the present. Eventually the focus turned to the Pacific side of World War II with an emphasis on naval operations. How much research did you do for the book? The research portion of the project took about a year to complete and was comprised of several facets. First were the U.S. navy documents from World War II, such as battle reports and deck logs from specific boats. All of these documents are housed at the National Archives in College Park, MD. Next was trying to find individual firsthand accounts. It involved looking at transcripts of oral histories, interviews in old newspaper articles, and contacting deceased veteran’s families to find if they had left written recollections. Fortunately, for the Into the Dark Water project two veterans did write out their World War II stories. Lastly, were the secondary sources – mostly books and articles providing general and background information. Why did you decide to write this book? What prompted you to put this story down on paper? I typically look for little-known stories from World War II – and I found one in PT-109. Aside from the familiar story of the boat’s sinking and subsequent heroics by John F. Kennedy, little has been written about what is arguably one of the most famous warships in American history. The boat had an eventful battle history under three different skippers – Kennedy being the last. I knew it was part of the World War II that needed to be told and decided to write it. What do you like most about your book? Why should we read it? I like that it is much more than a book about a warship. It is story about people – three young naval officers fighting a war thousands of miles from home. There is a story for every person who served in World War II – a story of what they did, what they saw, and in some cases, how they survived. The men are linked together by the common threat of serving aboard PT-109 in the South Pacific. It is a good representation of what many have called the “Greatest Generation” of World War II servicemen. These are people who risked everything to save our way of life. You can purchase your own copy of Into the Dark Water here. You can also learn more about John Domagalski on his website www.pacificwarauthor.com.